Retro and minimalism, for some the combination might not work because of the stark differences between these decorative styles but you would be surprised how a touch of vintage charm adds character to an otherwise frills-free space! That’s the key to making a room stand out from other spaces, character. Gives a distinct yesteryear appeal to the entryway with a midcentury-inspired piece of furniture. A vintage-style iron and leather bench or a gossip bench makes the perfect focal point for the entryway. Any of these multi-functional pieces add a vintage appeal to the entryway while also defining the living space. 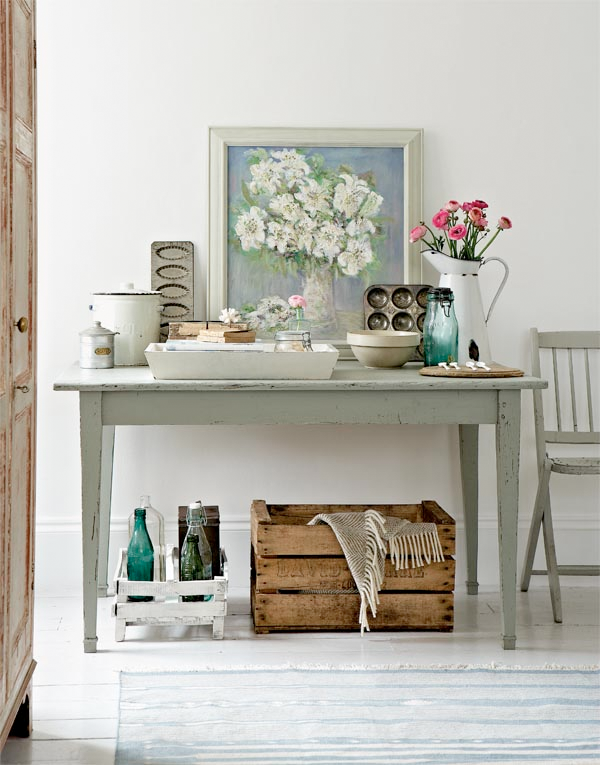 Enhance the retro appeal of the bench by stowing several wicker baskets underneath or a couple of crates! To add a vintage flair to the living room, consider investing in a midcentury daybed and pair it with an antique armchair! Complete the look of your vintage-style living room with an antiquated console. Another living room piece worth investing in is a vintage sideboard. You can find a great selection of classic sideboards at flea markets, in case you are looking for great deals. Vintage sideboards are multifunctional and versatile; you can use them in any room. When decorating the living room, opt for pieces crafted from sleek materials for a clean, streamlined look. The clean lines and sleek materials will not add to the visual weight of the room, satisfying your minimalistic sensibilities. If you have amassed a great collection of vintage photos, old artworks (or new artworks that look old) or any type of retro décor that you can hang on the wall, use them to create your own feature wall. You can hunt for old photos and artworks on estate sales, flea markets, and thrift stores. Create an eclectic look by mixing the decors and artworks to breathe life to blank walls! If you are an avid collector of vintage toys or vintage-style toys, now’s a good time to put them on display. Turn your toys into whimsical decors by arranging them on top of your console or in your bookcase. If you’re up for a challenge, you can also repurpose old toys into new decors. You can turn your retro toys into an artwork, transform them into bookends or even mount them on the wall. Adding a retro style accent wall is a great way to give a room a touch of old world charm while making a statement! But if you’re not up to giving your walls a fresh coat of paint, using wall decals or peel-off wallpaper is your best bet. Wall decals and removable wallpaper are not only easy to install, they’re reusable too. They’re perfectly rental-friendly and they come in tons of designs to choose from. To give any room an old-school vibe, choose a standout mod pattern. From classic teak consoles to well-worn rugs, liven up your microapartment with old school retro accents. In the living room, decorate your console with a record player and stack your favorite vinyls. Make the most out of your modest living space by using retro-style storage solutions such as leather ottomans, wooden baskets, old wine crates, etc. Got treasured heirlooms? Bust out granny’s old dinnerware or that gracefully aged mirror you found at a flea market and put them on display. 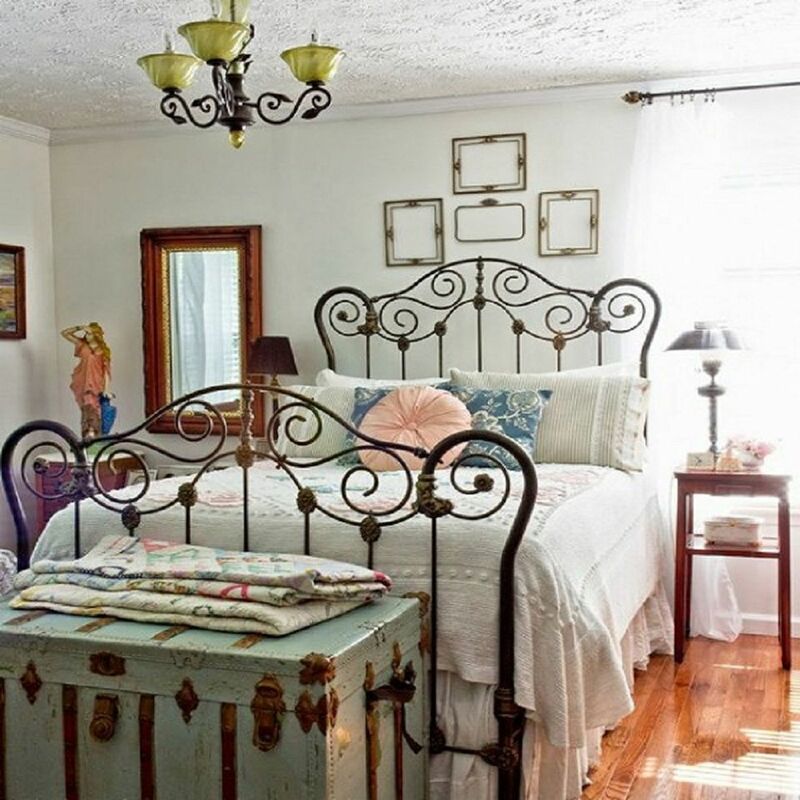 Decorate the bedroom with several vintage accents to spruce up this space. A furry, shaggy rug helps define the space while also absorbing noise for better sleep. Adding a couple of ceramic midcentury-inspired table lamps on either side of the bed gives the bedroom a warm glow. 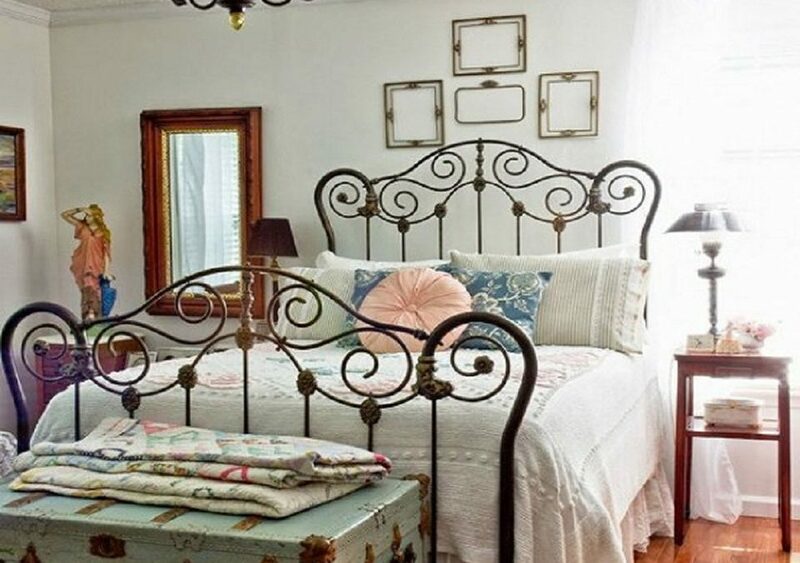 Refinish a rusting bed frame and use it to create an elegant and gracefully aged boudoir. 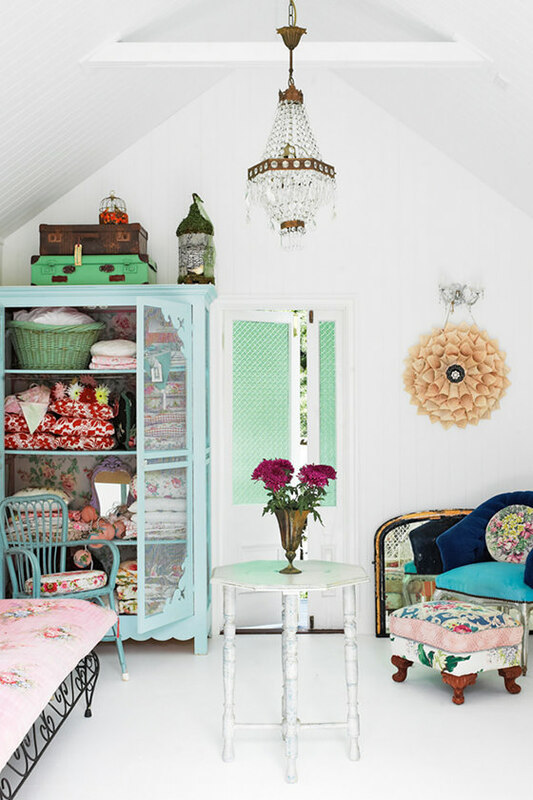 If the space allows for it, create a seating area in the bedroom using a vintage chair and an ottoman. On the other hand, if the bedroom is too small for a seating area, set an old trunk or a wooden chest at the foot of the bed. The wooden chest helps inject a yesteryear appeal in the room while also stretching the storage space. If old school decors and thrift store finds are not your thing, you can still give your microapartment a touch of retro by investing in vintage-style pieces of furniture. Again, opt for pieces that are made with sleek materials to reduce their visual weight. Choose pieces that feature iconic, classic designs with antiquated materials such as brass, wood, or oxidized silver. High-quality vintage pieces will age well and if you’ve inherited several pieces or you’ve got lots of secondhand finds gathering dust in storage, now’s a good time to give them a fresh coat of paint or wood varnish. You can also reupholster old couches and chairs! Now, if you don’t mind getting your hands dirty, why don’t you hop over our DIY section and check out some of these cool tutorials.